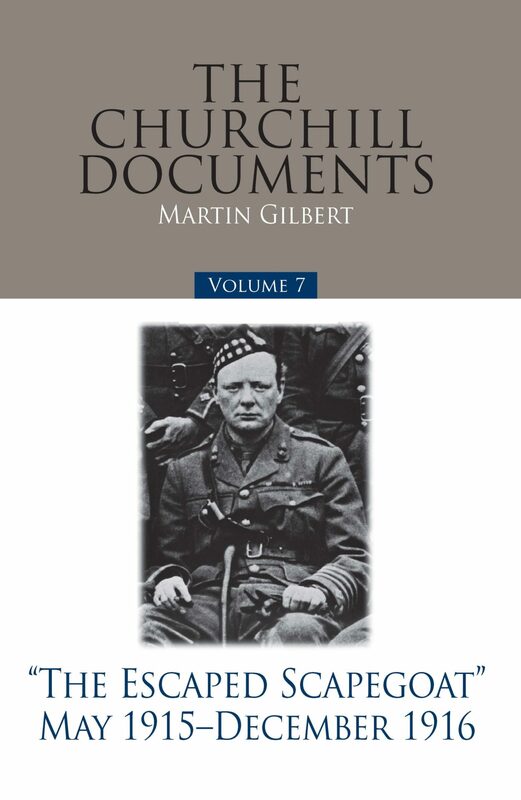 The letters and documents reproduced in the seventh volume of The Churchill Documents span the period from May 1915 to December 1916. During this time, Winston Churchill was successively Chancellor of the Duchy of Lancaster, a member of the Cabinet, and a battalion commander on the Western Front. This volume includes every letter written by Churchill to his wife from the trenches. Returning from the Western Front as a Member of Parliament holding no office, Churchill was a vigorous opponent to the government’s war policy, critical of the Somme offensive and of the lack of munitions preparation. “What about the Dardanelles?” was the cry Winston Churchill was to hear often between the two world wars. It epitomized the distrust in which he was widely held as a result of the eventual failure of the Gallipoli expedition. Although, as the documents in this volume make clear, that campaign was the full ministerial responsibility of the Secretary of State for War, Lord Kitchener.